You may have heard of the great migration of the Serengeti wildebeest, who migrate over 1,600 kilometres each year in search of grass and water. Well, the dust is rising over Butcher Paper Canyon, and it’s due to the massive Steambug Migration heading across the land, thanks to Ted Andes’ imagination and building skills. 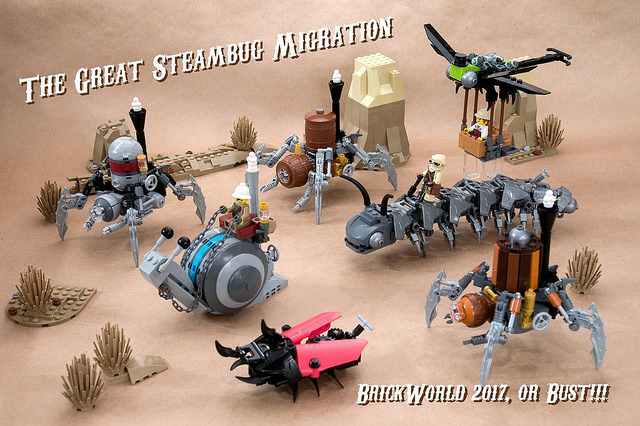 There are 7 initial species of Steambug present in this migration, but Ted hopes that many more will join by the time the migration reaches BrickWorld later this year. Let’s get the magnifying glass out and take a closer look at these Steambugs. 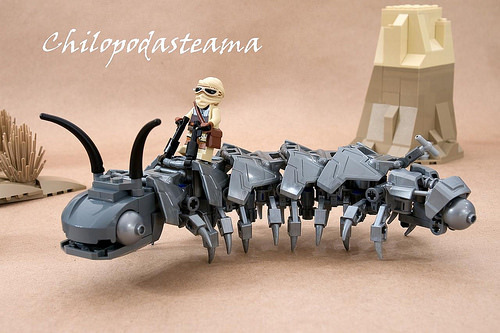 First we have the Steam Centipede, Latin name Chilopodasteama. I love how the segmental shape has been created — did you spot the wind up key sticking out at the tail end? Next we have a rhino-beetle-ladybug hybrid, Latin name Dynasteama. Please excuse the slight blur but Ted explains that he is a “fast little bugger… was hard to take a photo of…”. 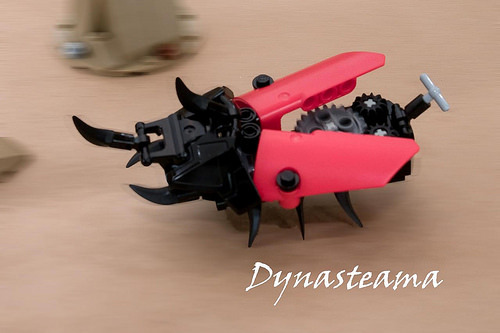 The combination of insect and mechanical features is a favourite of mine, reminding me of some of my favourite movies directed by Guillermo del Toro depicting his love of mechanical insect fantasy characters.